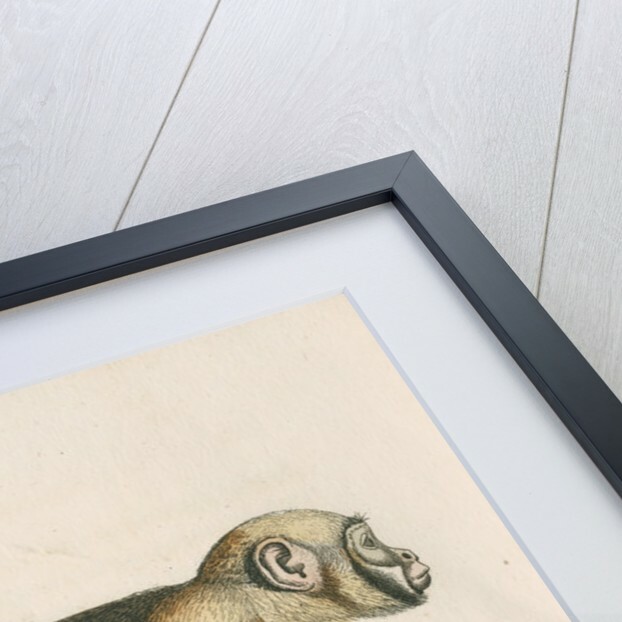 Zoological study of a large headed capuchin, possibly Sapajus apella macrocephalus. 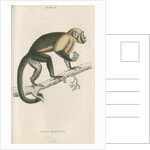 The animal is native to South America and is shown in profile, climbing a tree branch and holding a fruit. 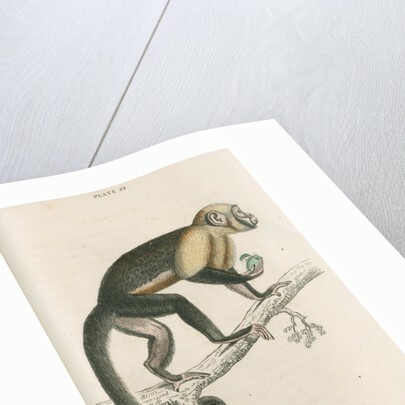 Plate 22 from The natural history of monkeys, by Sir William Jardine (Edinburgh, 1833) The Naturalist's Library. Mammalia. Vol.1. 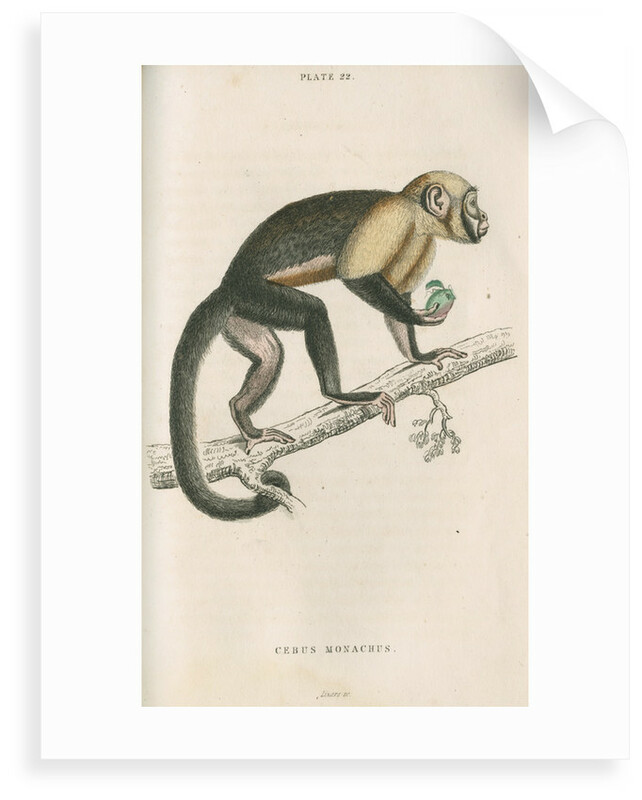 Referred to in the text as "The Large headed-sapajou". The plate is inscribed: "PLATE 22. 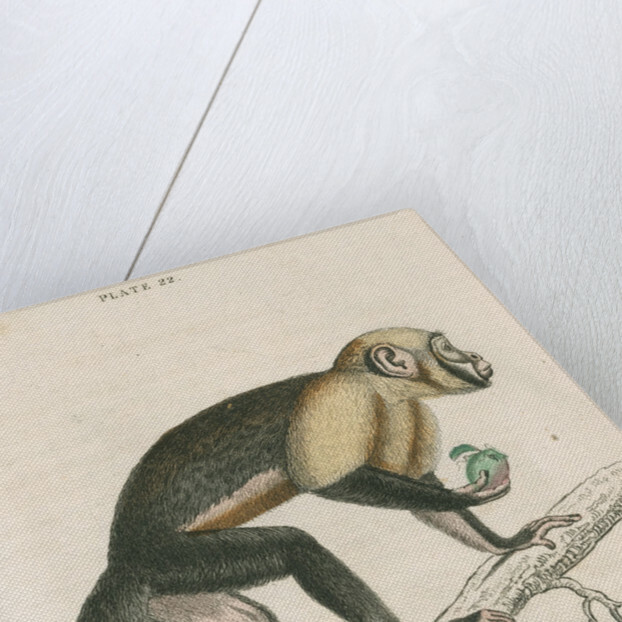 CEBUS MONACHUS. Lizars sc."